Wet ash from Sathya Sai Baba's mouth? 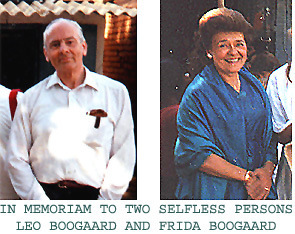 A Dutch friend of mine who I first met in Curacao in 1953, now deceased, was Leo Boogaard (formerly National Coordinator of the SSO in the Netherlands,). Once he received vibuthi from the hand of Sathya Sai Baba at darshan at Puttaparthi when I was with him. However, this so-called 'holy ash' was literally wet. It slopped into his palm. Her was very surprised by this and showed it to me after darshan (i.e. where the guru shows himself in public). This tends strongly to support the claim made by some magicians who have studied Sathya Sai Baba's methods, that he also sometimes conceals pellets in his mouth! No follower would even THINK such a thought as 'blasphemous' as vibuthi being concealed in his mouth by Sathya Sai Baba, for delivery wet with saliva to a devotee at darshan. I did not even think this until a long while after I had become disaffected and had begun to realise that Sai Baba often uses many techniques that illusionists do. Leo Boogaard was the Chairman of the Dutch Sathya Sai Organization in 1984, but he was sacked by the Central Coordinator Thorbjorn Meyer because he refused to exclude certain groups of Indian and Sri Lankan devotees from the organization who did not follow Meyer's strict rules. Meyer replaced him with one of his cronies. Later, when re-election for the post was eventually arranged, Leo was voted in by a large majority against Thorbjørn Meyer's opposition by Dutch devotees. Failed Education in Sathya Sai Human Values in Europe Leo told me on several occasions in the 1990s of the Dutch Organization's attempts to get a more sensible set of guidelines and teaching methods accepted on Education in Human Values in the Sathya Sai Organization. Meyer wanted to determine everything himself (a man who had no pedagogical qualifications and was a tough manipulator of people), so the self-defeating policy he pursued was retained. Among Meyer's "achievements" was the signal failure of a projected Sathya Sai College and 'Educare' programme under his leadership which was to be at Arresødal Castle in Copenhagen was rejected by a public protest movement! The US financed 6 million dollar project had to be abandoned! Leo Boogaard left the Sathya Sai Organization and later renounced Sathya Sai Baba too. Some Details of Leo's life (see also Wikipedia): Leonardus Eliza Christiaan (Leo) Boogaard Sr. (The Hague, April 22, 1928 - The Hague, July 12, 1999) was a Dutch politician. Boogaard was one from the business (BPM and Shell) derived Ouderenvertegenwoordiger, who as manager also spent years abroad, not least as Personell Officer for Shell in Willemstad, Curacao. He retired in 1984 and in 1994 he was Second Chamber for the General Elderly Association. He chose in 1995 the part of Jet Nijpels when a break in the AOV group came. In the Court he was concerned with foreign affairs, social affairs, agriculture and justice. He had remarkable interest in Eastern philosophy. He left the House in 1996 because of his health. The failures of Sathya Sai Education in Northern Europe and the reasons are also discussed here. The Arresdødal School fiasco was reported in the Danish National TV documentary 'Seduced', transcript of this issue can be viewed here See also report on the behaviour of the Danish Sathya Sai Organization leaders, like T. Meyer at the time.